The day has come that many thought would never be. PPEI is proud to announce our release of EFILIVE for the 2011-2016 LML Duramax. We know that many have been asking for this time and time again, and it’s finally here. With the addition of EFILIVE to our tuning arsenal on the LML, we are able to better tune in drivability, as well as some monster combinations that are soon to hit the streets. At this time, we will begin taking orders for immediate fulfillment. The AutoCal device comes pre-loaded with 4 custom tunes for your vehicle and combination which level of tuning depends on the mods of your truck and a stock file if requested. 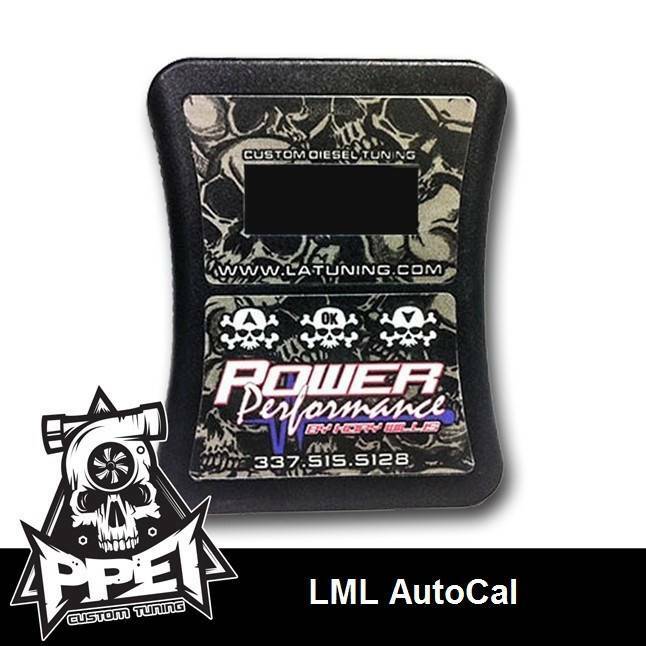 LML power levels ( Stock Trans ): Engineered for trans safe tuning. Note* the 2015 + LML Duramax trucks will not come with a stock A_Flash file unless the file is requested. There is no fee for the A_Flash to be sent at a later date.